Angela W. Buchdahl, the first Asian American Rabbi at Central Synagogue, New York City. 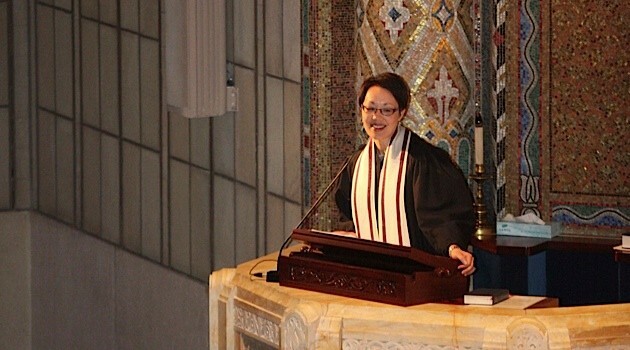 “When Cantor Angela Buchdahl walks among the pews, greeting congregants before Friday night services at Manhattan’s venerable Central Synagogue, she encounters a mélange of Jewish faces, including blacks, Asians and Hispanics. It’s a diversity that reflects the emergence of an American Jewry of unprecedented ethnic breadth, and a diversity that Buchdahl — born to an Ashkenazi, Reform Jewish father and a Korean Buddhist mother — embodies.